Developed with state-of-the-art active ingredients, allows instant rescue and restoration of hair structure. 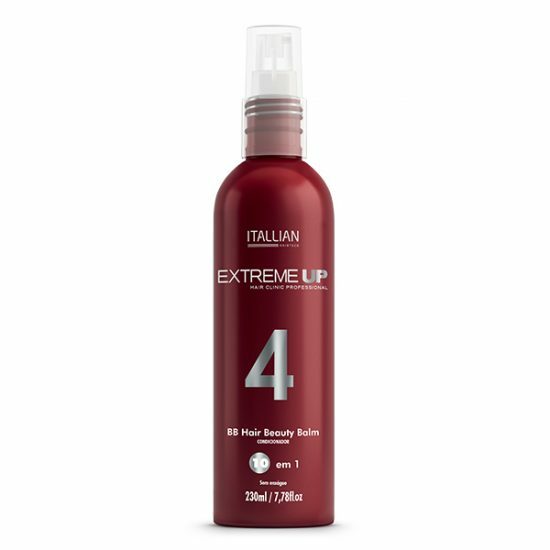 Compatible with the most different chemical processes, Extreme-up is the perfect solution for presenting long-lasting results quickly and efficiently. 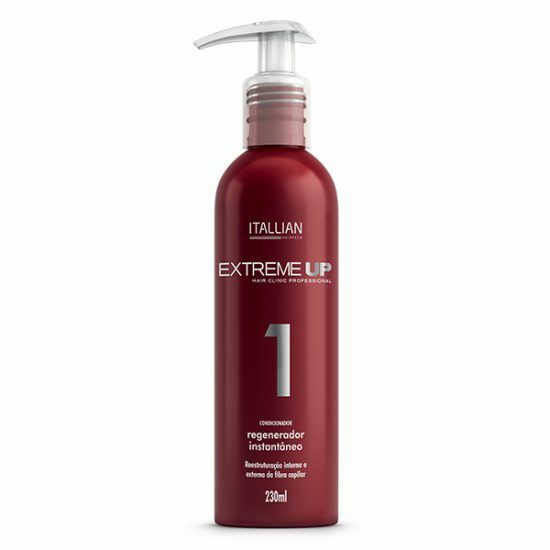 Extreme Up 1 is an instant regenerating for damaged hair that restores mass, brings resistance and elasticity back and protects from oxidation. Rescues elasticity of hair after chemical processes and other daily aggressions with hair reconstruction and sealing of cuticles, by recovering protein and pH re-balance, besides restoring hydration, shine and easy to brush. 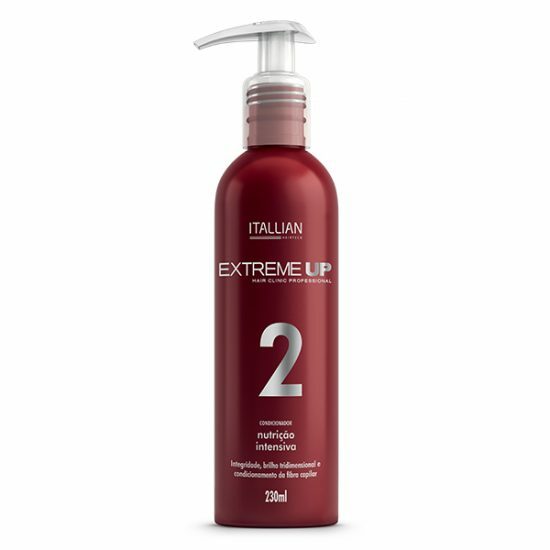 Extreme Up 2 is an intensive nourishing for hair damaged by chemical processes and daily aggressions that restores hydration and resistance to hair with shine and smoothness. Restores and regenerates hair fiber with conditioning and moisturizing action that enhances brushing with alignment of hair and leaves hair frizz-free, conditioned, smooth and shiner. Extreme Up 3 is a conditioner with crystal keratin that seals cuticles of damaged hair by chemical processes and other aggressions, and leaves hair brilliant, restored and conditioned. Restores hydration and enhances damaged hair, in addition to re-balance pH of hair, so that cuticles are closed again and aligned for a frizz-free hair, easy to brush and brilliant shine. Sealing of cuticle, fiber restoration, extreme conditioning, sun protection, deep hydration, nutrients infusion, anti-oxidant action, day by day fiber repair, disciplining action pre-brushing, strength and resistance. Straight Fugace Extreme Up 5 is a thermal protector indicated for hair dryer and flat iron use that preserves hair integrity and impedes frizz formation. It has an intelligent silicones combination that makes brush lasts longer with extended protection to moisture and bristly effect caused by it, in addition to leave hair brilliant and silky-touch.